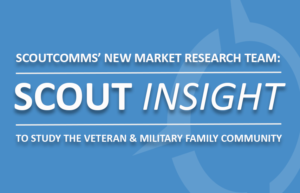 Fredericksburg, Va., January 17, 2017 — Today, ScoutComms, the nation’s leading communications, advocacy, and philanthropic strategy firm dedicated to providing services that support veterans and military families, announced the launch of a new market research division as well as multiple promotions. These changes come in response to shifting client demands, the changing dynamics of the community, and the company’s rapid growth in 2016. 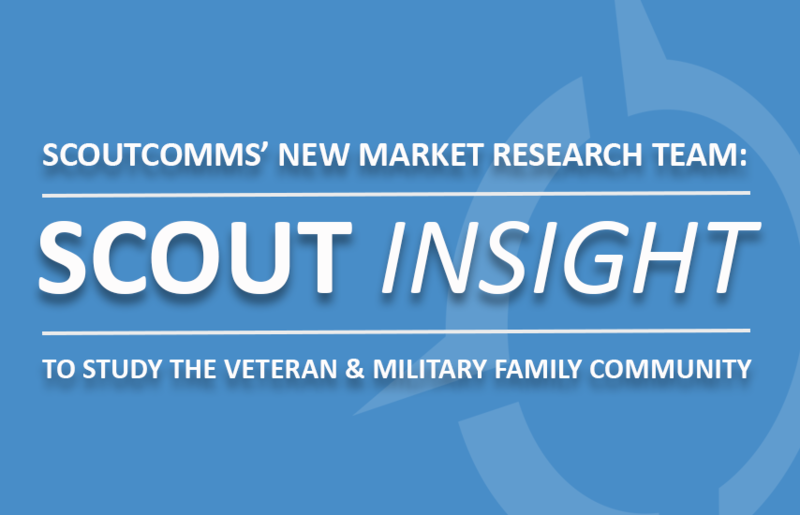 The new market research department, Scout Insight, will conduct original research and surveys, and consolidate information from a diverse array of national, state and local open source assets, in order to provide clients with timely, practical insights into the tens of millions of people and thousands of organizations that are directly tied to the veteran and military family community. “Over six years of operation, ScoutComms has come to recognize that while many nonprofits and corporations seek to provide support, services or products to the more than 40 million Americans who are service members, veterans or their family members, they often lack detailed knowledge and understanding about who these people are, where they live, and what matters to them,” said ScoutComms founder and CEO Fred Wellman. 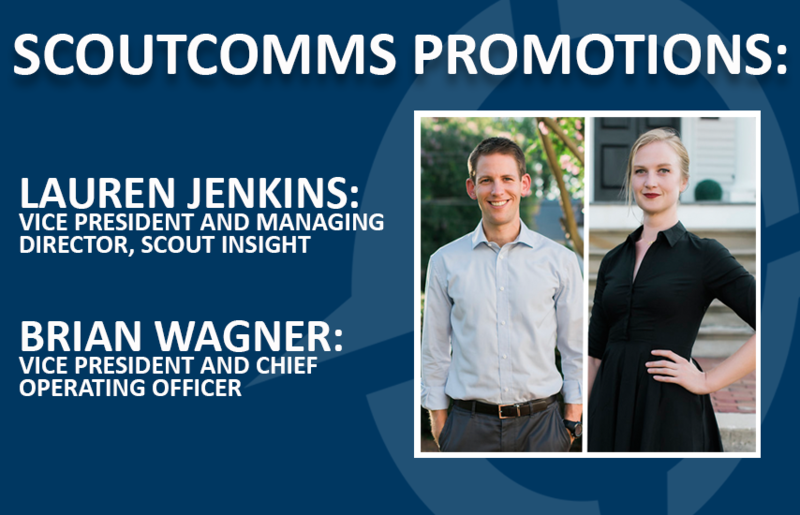 Vice President Lauren Jenkins will lead this new department and add the title of Managing Director of Scout Insight, while continuing to directly manage a select number of client accounts. surpassed $1 million in revenue for the first time, counted more than 20 clients on its active roster and doubled its employee base. The company’s second promotion is a direct response to the company’s significant growth. Managing the increasing complexity of day-to-day operations has become a major commitment. 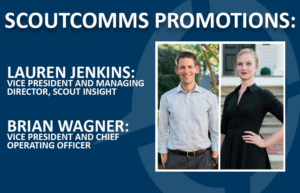 To ensure that ScoutComms’ growth continues unabated and the quality of its service to customers remains unparalleled, Vice President Brian Wagner will become ScoutComms’ first Chief Operating Officer, while continuing to serve as the company’s primary client lead. ScoutComms’ growth was a boon not only to the company, but also to the community. As a result of its success, ScoutComms was empowered to give back even more extensively in 2016, and expects to be even more charitable in 2017. ScoutComms, an award-winning Certified B Corp and a Service Disabled Veteran Owned Small Business, is the nation’s leading communications, advocacy, and philanthropic strategy firm dedicated to providing services that support veterans and military families. We work with Fortune 500 corporations, veteran-owned businesses, non-profits, and other organizations to help them increase and sustain their positive impact for those who have served. ScoutComms is one of the first B Corps in the world focused on veteran and military community issues. Visit us online at www.ScoutCommsUSA.com. Follow us on Twitter and Facebook. Fred -Fantastic achievement and commitment by you and your Team.